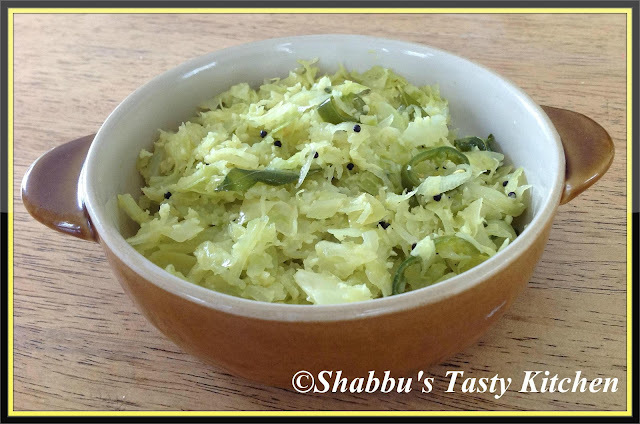 Add shredded cabbage, grated coconut, green chillies, turmeric powder and salt in a bowl and mix well with your hands. Heat oil in a pan, splutter mustard seeds. Add curry leaves and chopped onion and saute for 1-2 minutes. Add the cabbage-coconut mixture and mix well. All time fav..So simple and delicious..
Looks very inviting. Thoran dishes are simple but really delicious. Very nice colour.